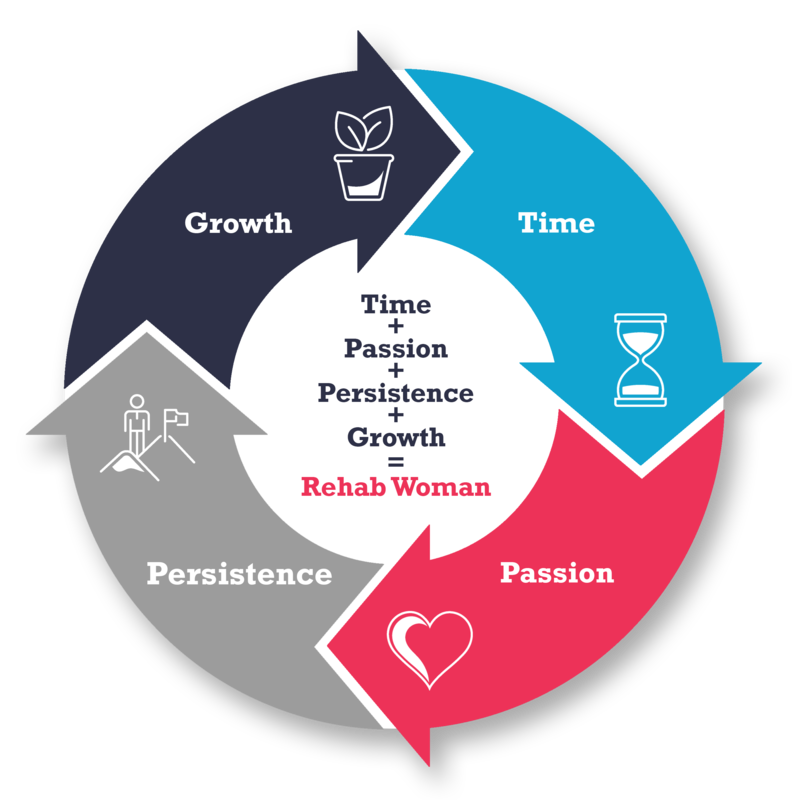 Rehab Woman is your number representing your current life balance as compared to your ultimate potential, taken as 100. We define life balance as the combination of time plus passion plus persistence plus growth that optimizes potential, focus, and completeness. Rehab Woman was inspired by the concept of rehabilitation of the mind and body through mother nature. We have a maturity model to help you identify where you are currently at with your life balance. We have tips and tricks to help you create a process to improve your life balance. Lastly, we have story telling mechanisms and vehicles available for you to demonstrate improvements in your life balance. Through a certain way of living, spending time, and thinking, we can use our minds in incredible ways and get the mind and body to do things that we never thought possible. It comes down to a series of thoughts, actions, decisions, and reactions that become part of us over time and the more they become part of us, the faster they grow, the more efficient our mind works, and the more we accomplish. This mindset, mentality, and way of life takes over and becomes a life of it’s own and you never stop growing, improving, and most importantly, creating!